Cheese is everywhere and Jerry is on a mission to get it all! 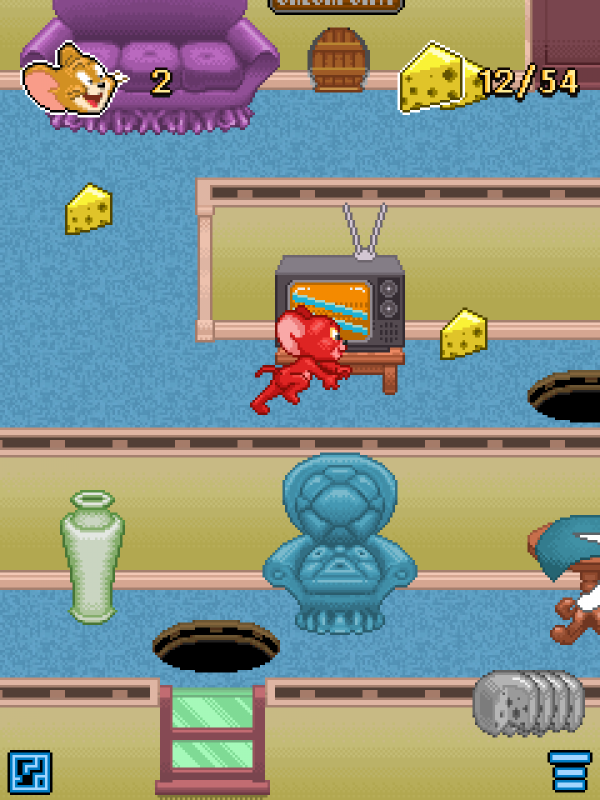 Help Jerry race through fun-packed levels collecting cheese while avoiding Tom in this classic game of cat and mouse. 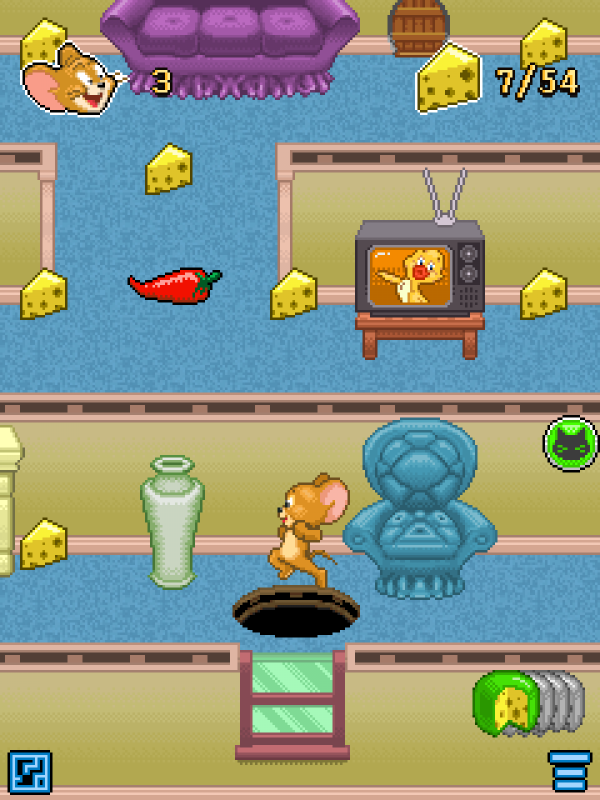 Cheese is everywhere and Jerry is on a mission to get it all! But he must be careful as Tom is on the prowl. 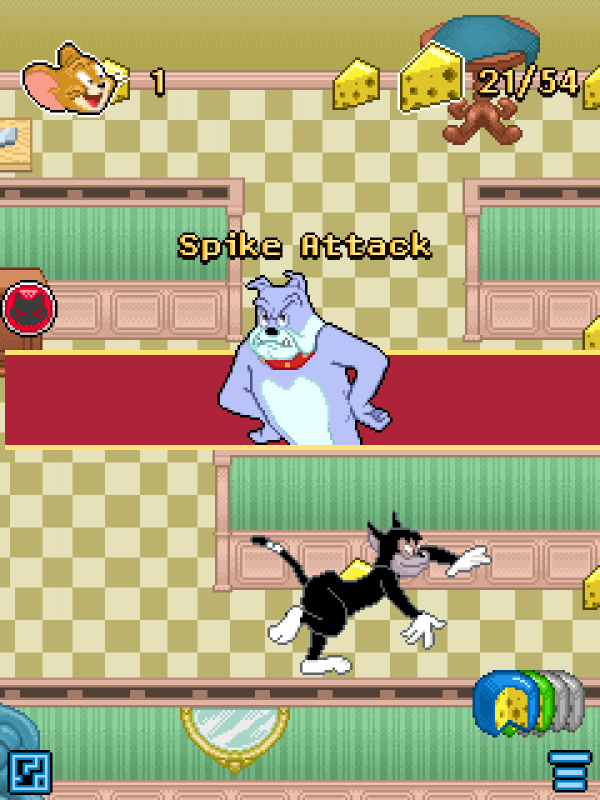 Help Jerry race through fun-packed levels collecting cheese while avoiding Tom in this classic game of cat and mouse. Use power-ups and everyday household objects to stay one step ahead. Always keep an eye out for Tom and his friends as they will be hot on your tail! ★ Many levels and worlds of cheese filled fun! ★ Avoid Tom, his friends and all the puzzling traps they set. ★ Use transport tunnels, magic hats, vases and other objects to keep you to keep you safe.